Boston has plenty of talent and is picked by many to win it all, but there are many reason for concern. The Red Sox are tops. 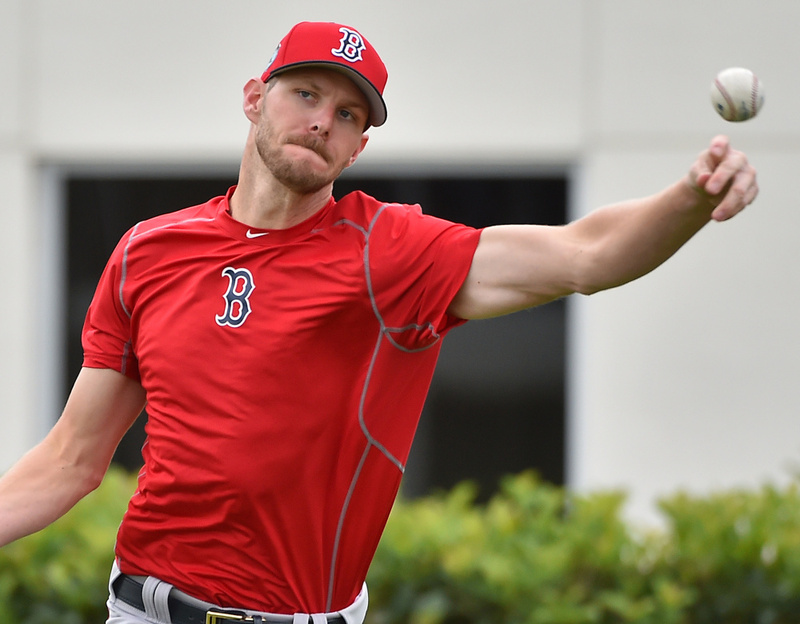 Cy Young candidates: Chris Sale and Rick Porcello. Shoo-in for Rookie of the Year: Andrew Benintendi. Repeat as American League East champions? There is little doubt. So, why Red Sox fan, are you so concerned? I know, you are worried, unable to shed that annual New England angst about the Fenway Nine. • David Price has an elbow that might finally give way to the workload he’s carried the last seven years. 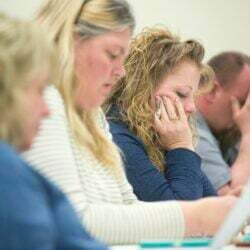 He’s on the disabled list with hopes for a May return. But who knows? • Drew Pomeranz, for whom the Red Sox traded away the game’s best pitching prospect, is doing a fine job of filling in for Clay Buchholz; you know, lots of talent, but oft-injured and ineffective. • David Ortiz is retired. And Boston is going to miss a lot more than his infectious smile; like that major league-leading 1.021 OPS. • Hanley Ramirez has yet to play first base this spring because of a sore right shoulder. Being a full-time designated hitter would not be the worst thing, but Ramirez’s health is always a concern. • Pablo Sandoval looks better but can he halt a steady decline in production? He did bat .339 this spring, but .250 batting right-handed. • The last two set-up relievers Dave Dombrowski has traded for are on the disabled list. Carson Smith underwent Tommy John surgery last year and there is hope for a return this summer (effectiveness unknown). Tyler Thornburg, for whom Dombrowski traded Travis Shaw and two prospects, is on the disabled list with a sore shoulder (called a shoulder “impingement” which used to be called bursitis). We could go on with the worries – don’t think we’re not aware of the thin rotation depth – but that should suffice for now. With all of that, how can experts be so pro-Boston? THE OPTIMISM begins with Chris Sale. Just think if Dombrowski did not trade for him, how the angst around here would have doubled. Instead, Boston has another ace. Over the past five seasons, Sale’s 3.04 ERA is best among league starters, and his 26.2 WAR is second only to Price’s 26.4. Add to that Porcello (22-4, 3.15 ERA last year) and Boston has a 1-2 punch. The intangible is Price, who could make it a 1-2-3 trifecta. The rest of the rotation includes All-Stars Steven Wright and Pomeranz, and the ever-promising Eduardo Rodriguez. Pomeranz has pitched over 100 innings once (1702/3 last year). Wright’s high was 1562/3 last year, and Rodriguez has never pitched more than 1212/3 major league innings in a season. And, in case you’re wondering, Buchholz had a 6.65 ERA this spring for the Phillies, including five earned runs in five innings on Friday. THE OUTFIELD is a reason for the Red Sox being must-see viewing. Not only will there be highlight catches, but plenty of production. 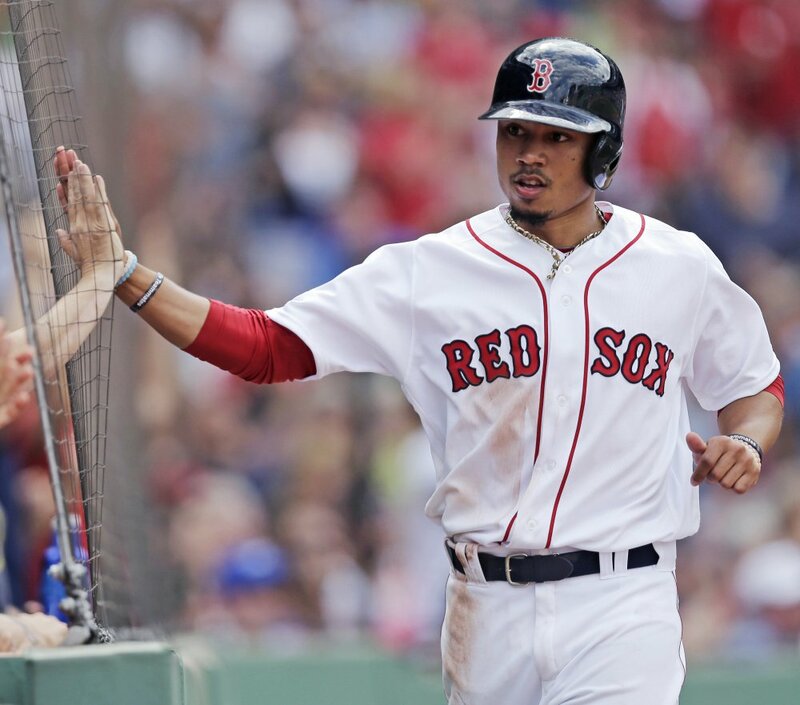 Betts, 24, is headed to stardom, if he continues the pace from his breakout 2016 season – All-Star, Gold Glove, Silver Slugger, second in MVP voting and in WAR (9.5) to leader Mike Trout. He led the Red Sox in batting average (.318) and stolen bases (26) and was second to Ortiz in home runs (31), RBI (113) and OPS (.897). And there are no worries that this all goes to Betts’ head. Those who knew him in Portland (2014) remember a humble player intent on always improving. Jackie Bradley ranked third in WAR (4.8) among American League center fielders. Bradley batted .267/.835 OPS with 26 home runs. He would like to cut down on his streakiness and strikeouts (team-leading 143) and improve against left-handed pitching (.244/.673). 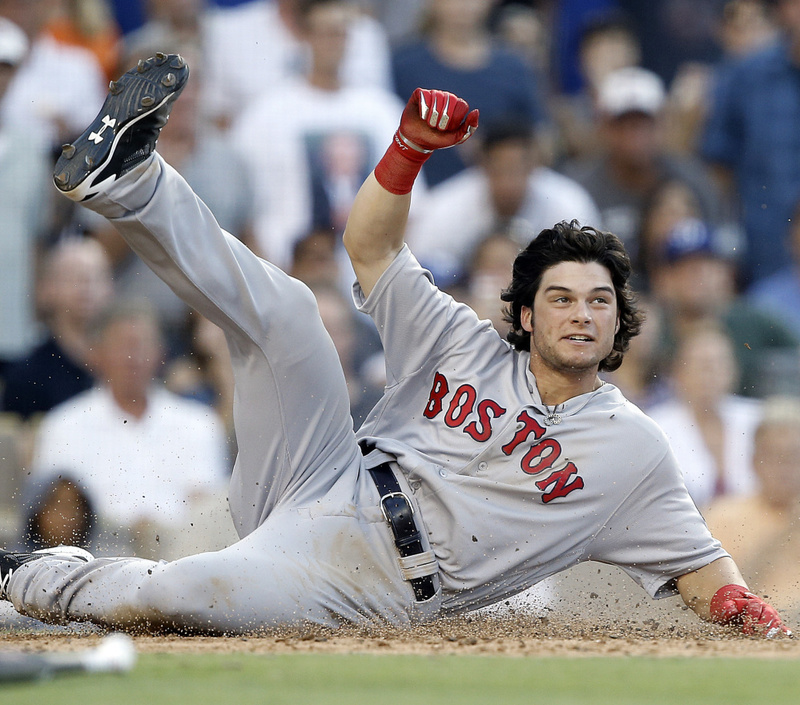 Benintendi’s presence could be huge for Boston. Last year, using Brock Holt, Chris Young and Benintendi, the Red Sox production in left field was decent (a .759 OPS, good for sixth in the league). But imagine how Benintendi will improve that if he plays a whole season? Last year, in a season he began in Class A, Benintendi batted .295/.835 in 34 major league games. When Benintendi played in Portland (.295/.872 in 63 games), he showed a mature approach, adjusting to pitchers and avoiding bad streaks. He demonstrated the same in Boston. One concern is that Boston is already counting on him too much – possibly batting him second in the lineup – instead of easing him in. Plus, there is the adjustment to the quirky left field at Fenway (Benintendi plays all out, and those Fenway walls are not forgiving). THE INFIELD has stability up the middle with Dustin Pedroia and Xander Bogaerts, although Bogaerts’ slide in the second half of last year (.253/.729) is worth noting. Sandoval is the question mark. Boston may need to platoon him against left-handers, but there are few options (and Josh Rutledge is currently out with a hamstring strain). If Sandoval is even average, that will be an improvement over last year – Boston ranked last in the league in OPS from third base (.686). The first base plan has shifted to a full emphasis on Mitch Moreland because of Ramirez’ shoulder limitations. Last year, Moreland batted .233/.720, with 22 home runs for Texas. One hope is Moreland’s success in his few games (14) at Fenway – batting .341/1.061. The intangible here is Holt, who will be everywhere, especially third base if Sandoval falters. THE BULLPEN looks fine with closer Craig Kimbrel, and key contributors Joe Kelly, Matt Barnes and Robbie Ross. The return of Thornburg and Smith could be a boost. Kimbrel (3.40, 31 saves) needs to be better in non-save situations (5.12 ERA, 1.50 WHIP). CATCHING IS good and deep. Christian Vazquez appears completely recovered from Tommy John surgery in 2015 and Sandy Leon is coming off a career year (.310/.845). FROM THE MINORS, three players could be counted on soon – pitcher Kyle Kendrick, catcher Blake Swihart and first baseman Sam Travis. Kendrick, 32, a nine-year big league pro, has not pitched in the majors since 2015. Signed to a minor league contract, Kendrick impressed in the spring (4-0, 2.18) and will get a call before Brian Johnson (0-2, 5.40) or Henry Owens (0-3, 15.95). Swihart is not as defensively sound as either Vazquez or Leon, but may be the best hitter of the three. He remains an attractive option. Travis had another great spring (.318/991), feasting on fastballs. If he shows consistency in Pawtucket, Boston could use another right-handed bat. PREDICTION TIME: Last year, I predicted 87 victories for Boston, and the Red Sox won 93, along with the AL East title. How to figure out 2017? Add Sale, minus Ortiz and an uncertain Price. I come up with one less win, for a 92-70 record.